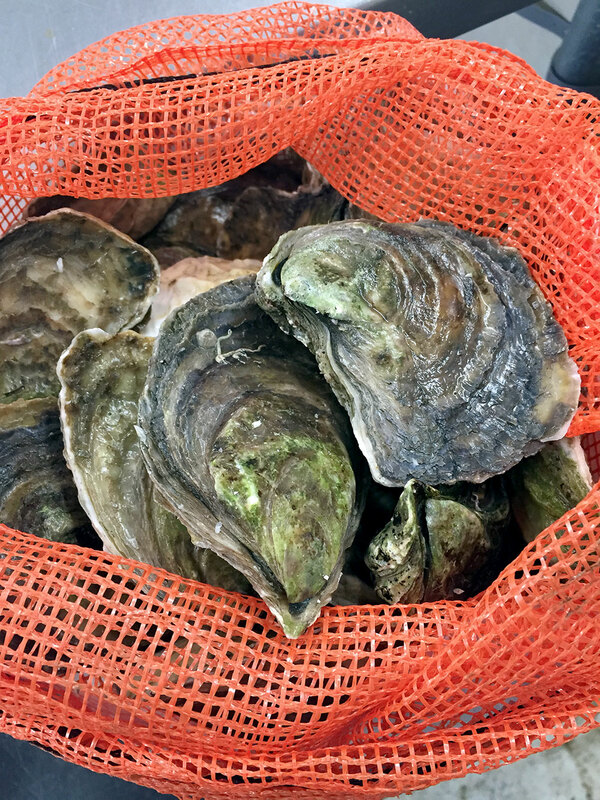 Oysters for Valentine's Day — The Local Catch, Inc. - The Best Rhode Island Seafood! Salt Pond Oysters from Point Judith are oyster-lover’s oysters: big, bountiful, and intensely flavorful. On the right is Dave Roebuck—owner of Salt Pond Oysters—and his son, David the 3rd. In celebration of Valentine's Day, here are a number of ways to prepare our fresh, local, delicious oysters. If you like raw oysters, try these sauces: Mignonette Sauce with shallots or a Zesty Vietnamese Dressing. Oysters are also delicious when baked or in a chowder. Try Baked Oysters with Bacon and Leeks or a Traditional Oyster Stew. Learn how to shuck an oyster in this handy tutorial—this includes step-by-step photos and a video.